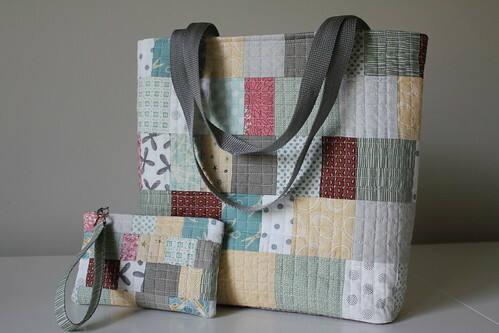 I went for lightly hued, lightly patterned fabrics when pulling together the scheme for this tote bag and wristlet, two fun goodies that I made for myself. I believe that the current term for this palette is "low volume", which is a fitting description for these subtle tones. With the exception of the zipper and the webbing, these items were made entirely from my stash, an accomplishment that makes me feel better about purchasing fabric with reckless abandon and no particular use in mind. 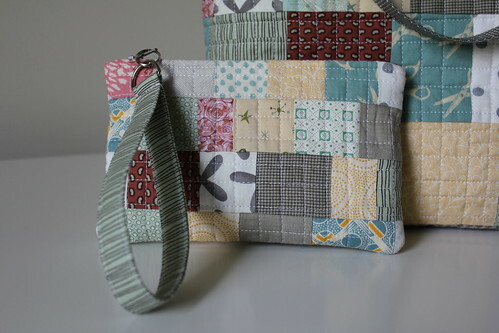 The pattern for the wristlet was designed by Elizabeth Hartman of the famous Oh Fransson quilting blog. 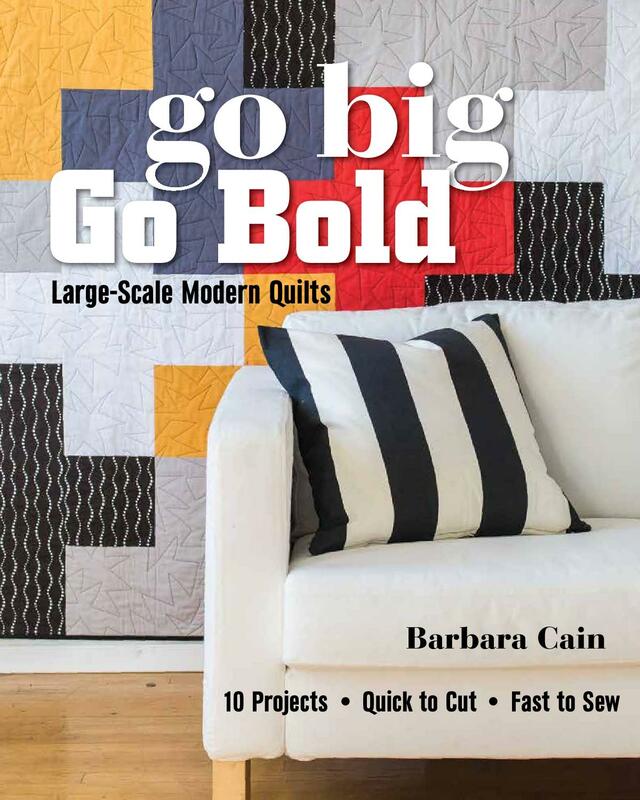 Elizabeth has inspired and entertained me for quite some time and I was pleased to buy her comprehensive pattern a couple of years ago through her site. 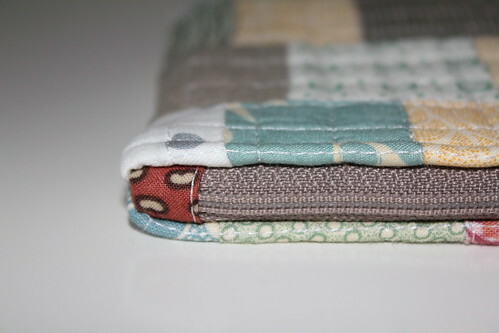 The pattern is still available and can be purchased here if you'd like to buy one. I made the tote bag without a pattern, by simply sewing together randomly cut strips of fabric and fiddling with the proportions until I got what I thought looked right. 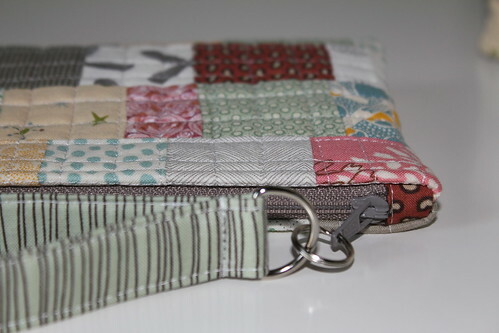 I'm a stickler for detail and I appreciate the attention to it that the wristlet pattern pays. 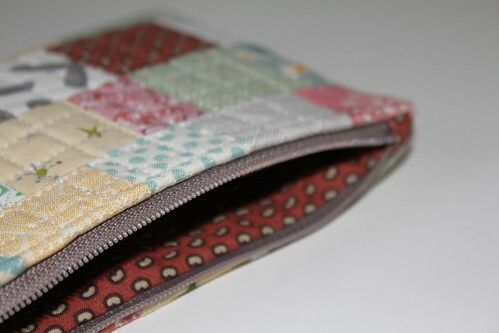 A neat zipper, secure wrist band and a clever lining technique, all make for a prim and tidy little purse that is quite practical. I've just retired the first one of these bags that I ever made, it served me well and finally wore out after what I'm sure was a thousand uses. FYI, I was able to reuse the "D" and the "O" rings from the original bag, they were as good as new. I purchased the strap webbing for the tote bag from JoAnn Fabrics, a product that unfortunately, is not carried in many colors. I did some web searching for alternative webbing sources and although I found several, when making just one bag it did not seem worth while to place an online order. 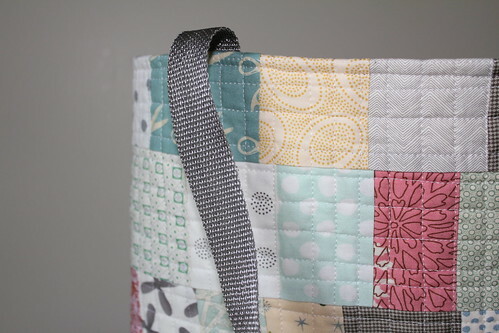 If you plan on making a tote bag with purchased webbing, I strongly suggest sourcing the webbing before selecting your fabrics, this will make a good match more likely. Looks like I might need to wait until spring to use my new "low volume" goods, spring is just around the corner! This is a fabulous set, B! I know heads will turn when you take it with you. So pretty! Your tote and wristlet are STUNNING! I love the stash pieces you put together .... to perfection! !